Happy Saint Patrick’s Day from the townland of Malone Lower, in Belfast. 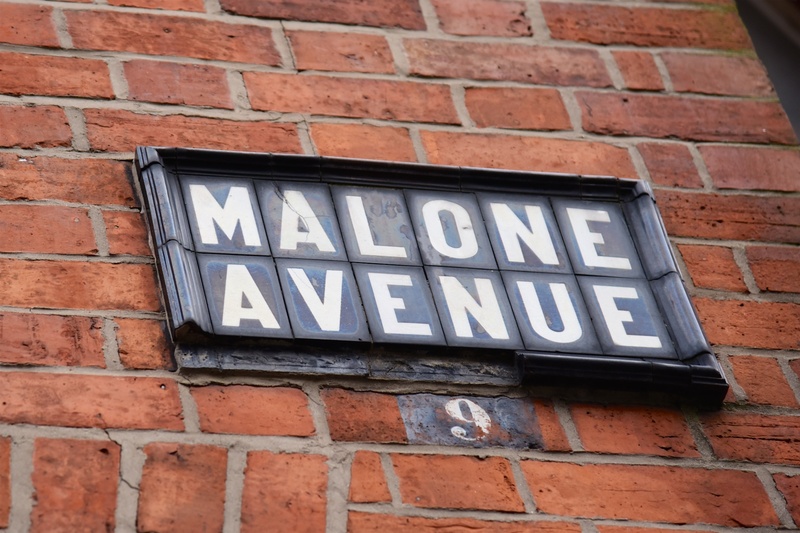 The name Malone comes from the Irish Maigh Luain meaning “Luan’s plain”. The plain is sandwiched between two rivers, the Blackstaff and the Lagan. You can see the Lagan in the next photo. This townland is packed full of Belfast landmarks. 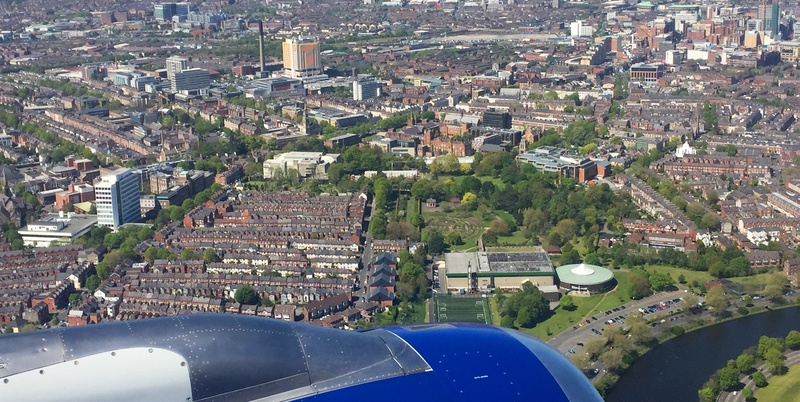 You may be able to pick out some of them from that photo, like the Botanic Gardens, Belfast City Hospital, Queen’s University and the Ulster Museum. 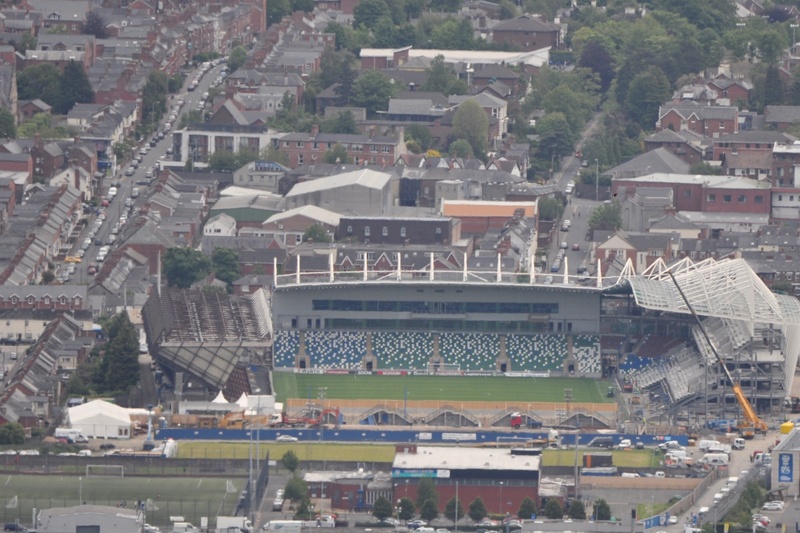 Another landmark is the National Football Stadium at Windsor Park. I took this photo of Windsor Park in June 2015 while it had no West Stand. You can get a rough idea of the shape of the townland if you take Ormeau Avenue as the northern boundary, and Balmoral Avenue as the southern edge. 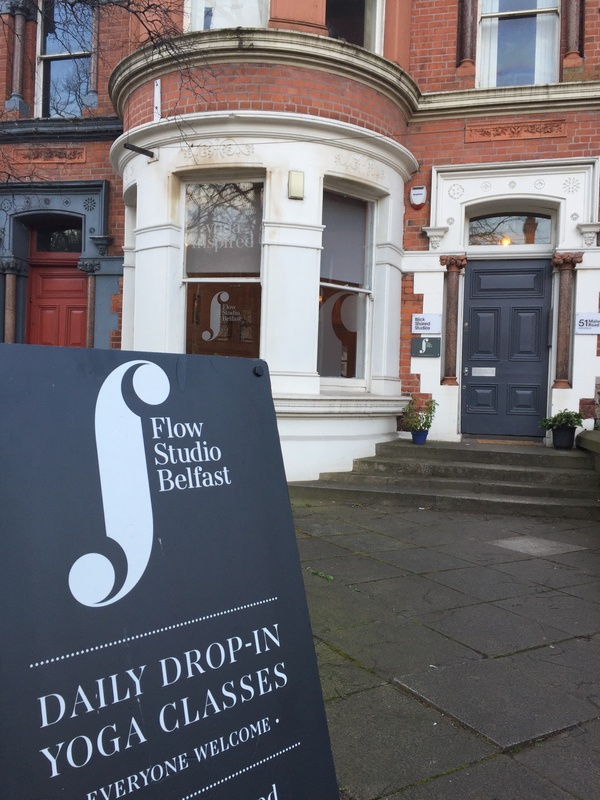 There are so many places to visit in this townland that I can only give you a quick selection of my personal favourites, starting with yoga at Flow Studio Belfast on the Malone Road. 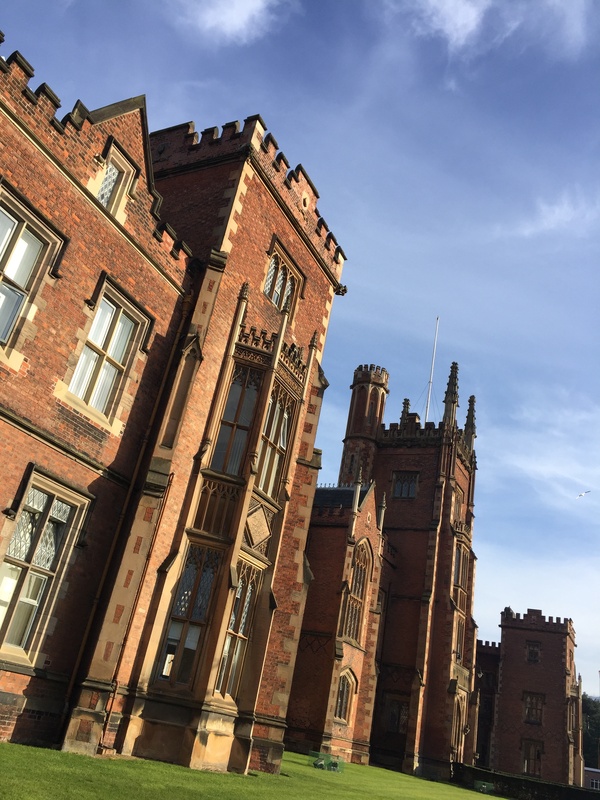 The next photo shows the Lanyon Building of Queen’s University. 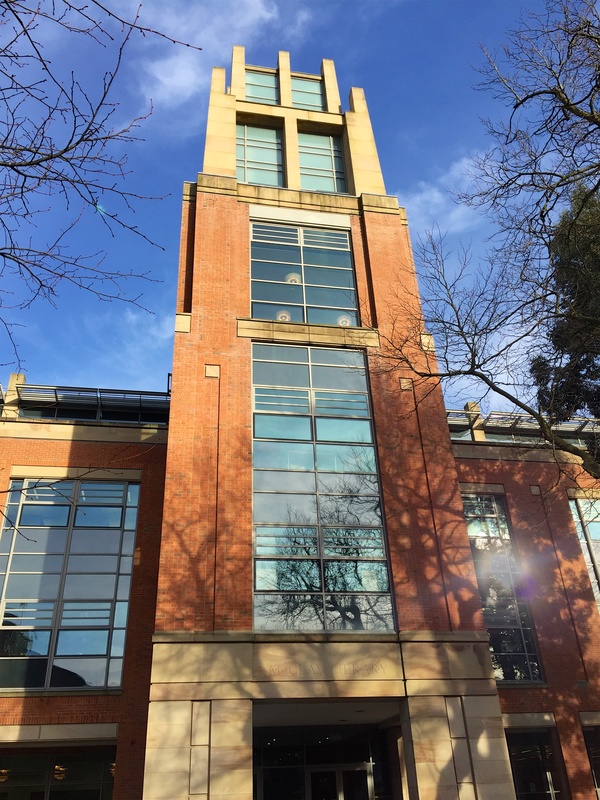 I spend more time in the McClay library. 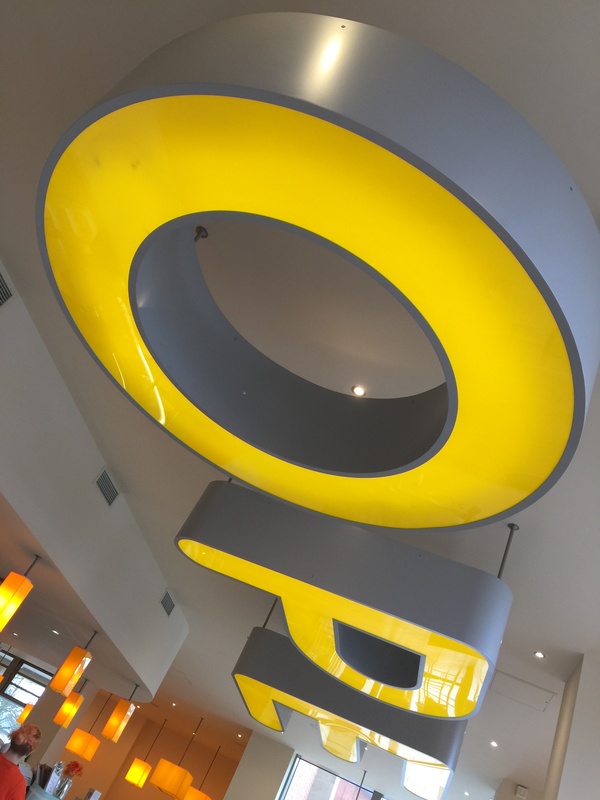 Why this library? Because the Special Collections and Archives Reading Room on the first floor is a great place for research, and the ground floor has the Hope Café. From the library it’s a short walk through the Botanic Gardens to the Ulster Museum, where I photographed two medals awarded to women from Northern Ireland. 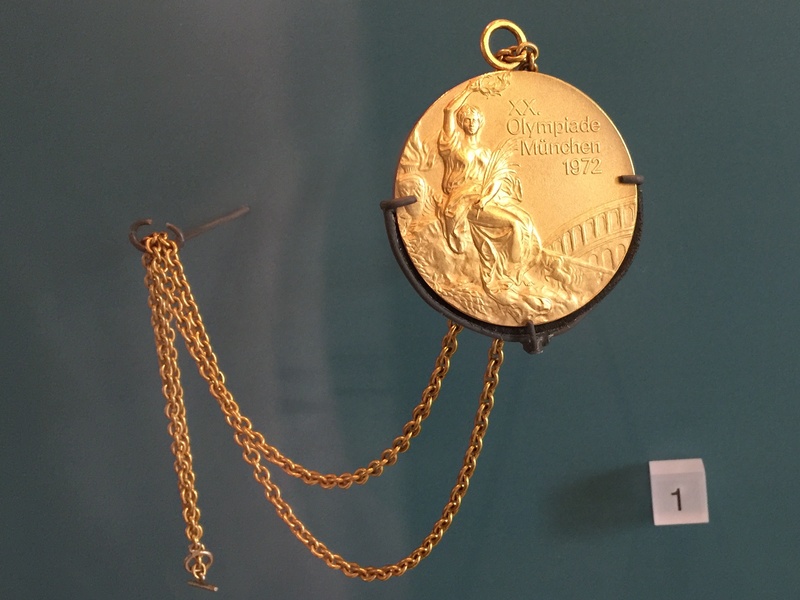 Dame Mary Peters won this gold medal in the pentathlon at the Olympic Games in Munich in 1972. Mairead Corrigan and Betty Williams won the Nobel Peace Prize in 1977 for their work as peace campaigners. 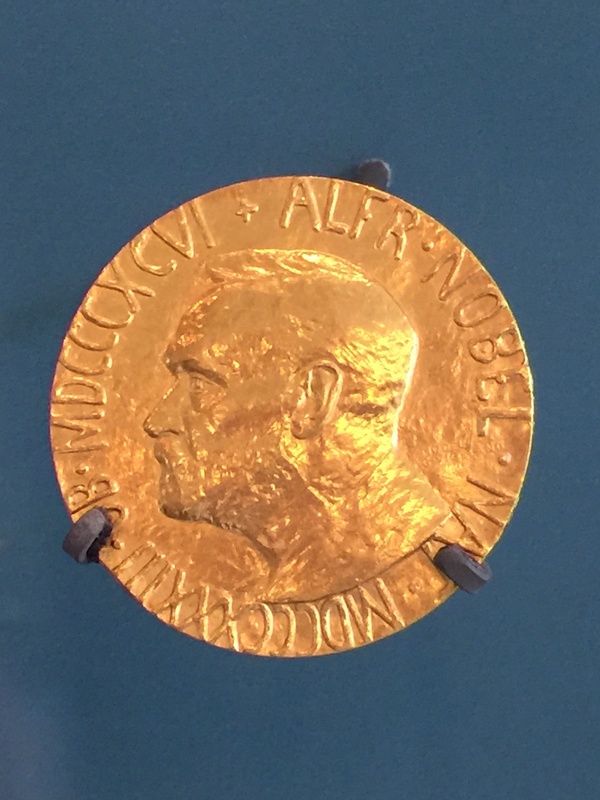 Mairead’s medal is on display in the Museum. Click here for a link to the website of the Ulster Museum. What townlands border Malone Lower? To the north, Town Parks. To the east, Galwally. To the south, Breda and Upper Malone. To the west, Ballydownfine, Ballygammon and Ballymurphy. Click here to see a map of Malone Lower on Townlands.IE. Congratulations on the grand slam. Still I have never been to Ireland North or South although I have a cousin in Galway. I live the Irish people – I think the Scots, the Irish and the Welsh have much in common. Thank you, on behalf of all the island of Ireland. The Six Nations is a great competition, isn’t it? And it’s special having a Grand Slam to aim for, knowing how rarely it happens.